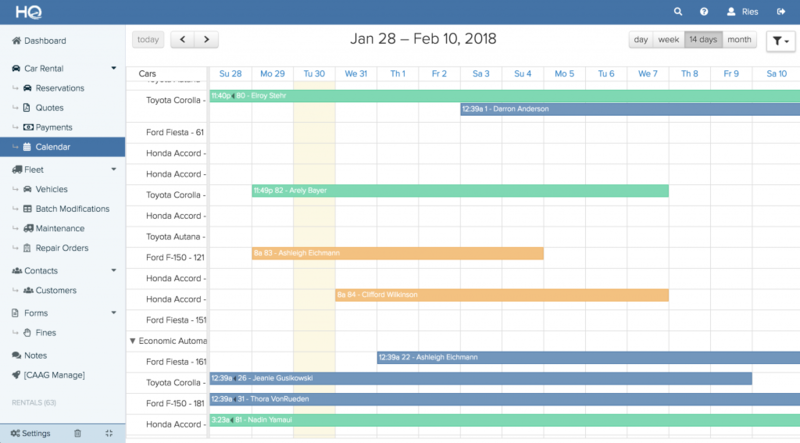 Easily keep track of availability, maintenance and repairs. Automatically track vehicle availability within select periods by class or model. Receive automatic maintenance alerts based on specified mileage or months. 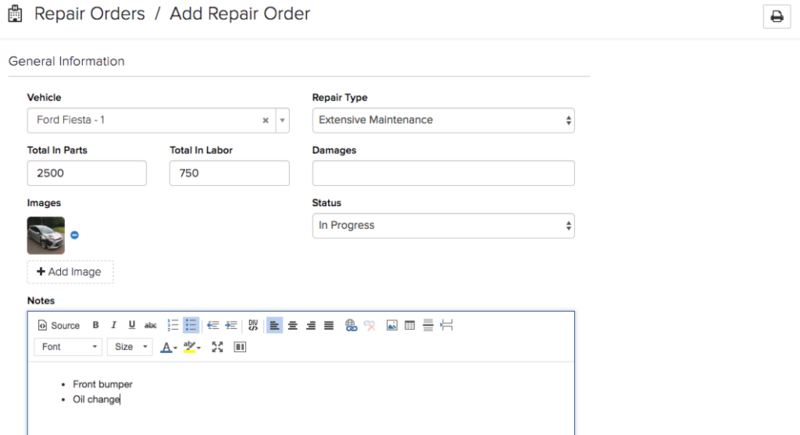 Create repair orders and keep track of all maintenance activities and costs. With the availability calendar you can easily see which vehicles are still available and which ones are not. It is also possible to create a new reservation from the calendar by choosing the vehicle and dragging over the days of the rental period. The HQ system allows you to setup maintenance rules such as “every 5000 kilometers / miles” or “every 3 months”. Seeing as the system asks you to update the odometer after every rental period, the system can send an automatic email when the vehicle reaches the maintenance threshold. The system can also keep track of all other vehicle paperwork such as road tax or insurance. 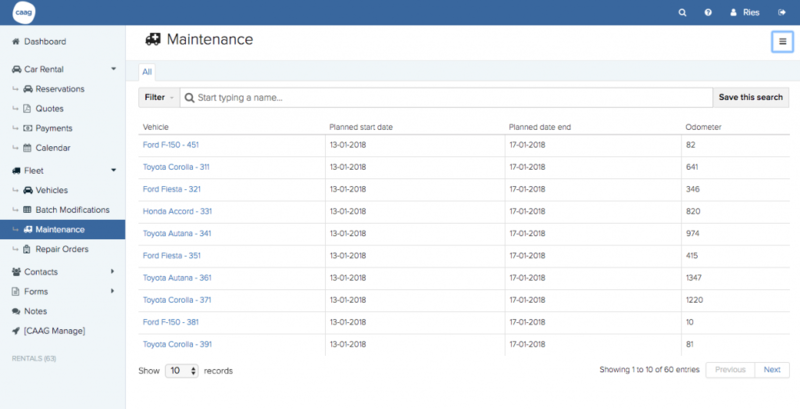 When you click on the maintenance alert the system can automatically create a repair order where you can register the type of maintenance or repair. The system allows you to add notes and images about the maintenance activities and you can specify the costs of labor and materials. Over time you can keep track of all maintenance costs per vehicle and see how much you have earned on the vehicle. Once you signup for our trial we have created a Getting Started dashboard that will guide you through the setup process. One of our account managers will be happy to help you customize the system to your requirements so please do not hesitate to ask for help through the online chat.